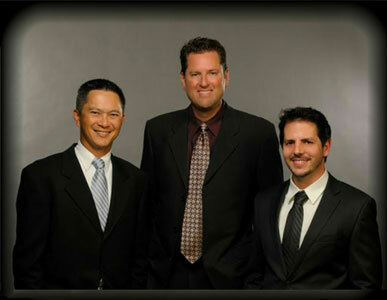 Our orthodontists have all been exactly where you are. They all had braces as teenagers and Dr. Hudson even had Invisalign as an adult. Each of our doctors became an orthodontist after experiencing firsthand how orthodontics can transform crooked teeth into a great smile. They realize what an amazing difference orthodontics can make in a person's life and they strive to give each person they meet the very best orthodontic experience possible. Drs. Page Hudson, Thomas C. Lee, and Ryan Pendleton have been recognized as Elite Premier Providers of Invisalign clear aligners, with extensive experience using this advanced aligner system. As Elite Premier Providers, they represent the top 5% of orthodontists that do Invisalign treatment. We are progressive with the utilization of 3D technologies like SureSmile and CBCT radiography to provide precise and efficient treatment. We have designed and built our new office to work seamlessly with these technologies so that we can complete your treatment faster and better than ever before. We are known in our community as the FUN PLACE for orthodontics, and we want you to have fun during the whole process. Our office features the "Surf Shack", an area set aside with iPADs to use for gaming, internet surfing, or homework. In the game-room we feature x-box 360 games, Nintendo Wii, and other computer games. We have 10 huge widescreen video monitors located throughout the office with new release videos for you or your family to watch while relaxing and enjoying your choice of fresh brewed beverage from our gourmet coffee press. Each patient chair is equipped with memory foam cushions and a soft ultra leather fabric, set within the "Board Room", where a collection of contemporary and vintage surfboards from famous shapers is on display. Of course, a FUN PLACE can't be fun without FUN PEOPLE (and we only hire FUN PEOPLE!!). Our patients mean the world to us, and we take the time to get to know each person as an individual. We love seeing our patients out and about in the community, and we could fill a book with the friendly compliments, thank-you's, and testimonials that our patients have given us over the years. We're here for you whenever you need us! Available 24/7 for any emergency, someone will always be on call to assist you. To make your orthodontic treatment as convenient as possible, we also offer early evening appointments.